Check out this guide on how to start Bible journaling for beginners. Get Bible Journaling ideas, tips, and printables to teach you how to get started Bible journaling. 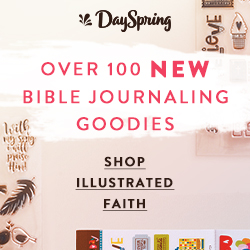 Our Bible journaling Ideas are just what you need to get started with what has become very popular as an expression of faith, a way to be creative, and a way to dig deeply into God’s word or simply to reflectively meditate. Yet these days there are so many supplies and tools, so the whole concept can be a bit overwhelming, especially to those of us who were taught NOT to write in our Bibles. 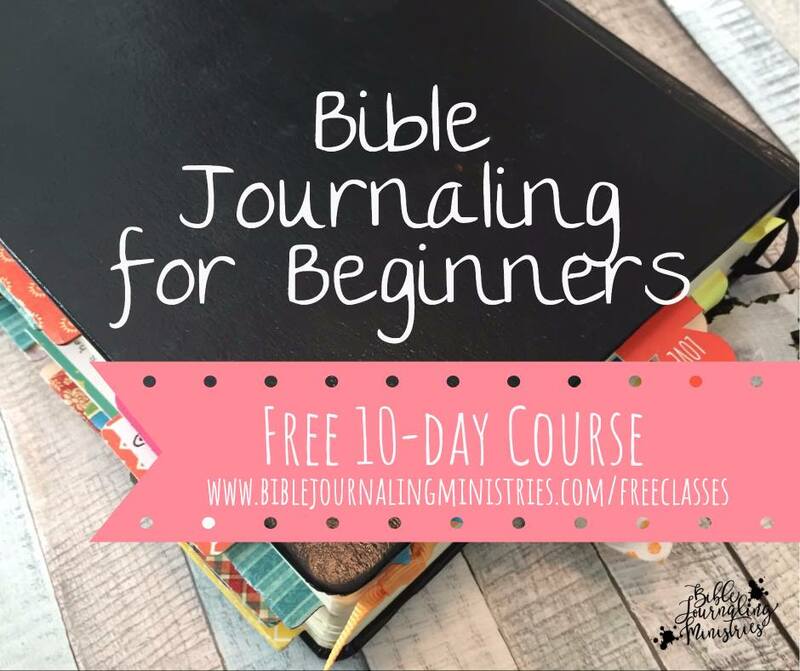 If you are wondering what this is all about, keep reading because we’re going learn together how to start Bible journaling for beginners. As you begin your Bible journaling process, you’ll be looking back to these great Bible journaling ideas to help get started and to keep up with this new way to really dig into God’s word. As you grow in your relationship with Christ, your ideas for how to journal the process will also increase. All you need is God’s word and a pencil. Yup, that’s it! You’ll see fancy stuff as we go and the “gimmies” can hit hard, but remember much of it is extras that are not required. Stay focused on what matters, which is your time with God. While some people are quite talented and creative, this is not a contest! Focus on your personal time with the Lord. Why should you start Bible journaling? Bible journaling is an act of worship. Not just coloring or another art form, while working on these designs, meditate over the scriptures. Pray. Use your time Bible journaling as worship. Document your walk with God. Like an old-fashioned Bible with a family history in the front, you are sharing your legacy of faith through your drawings, markings, and stories. Your Bible will become a treasured keepsake as your children and grandchildren see what you pondered and how you expressed your faith in your important times with God. 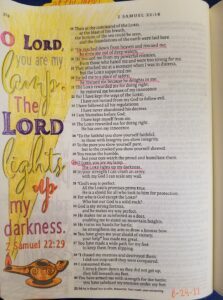 Bible journaling ideas abound, and how you use them to help document your walk will be a treasure for future generations. Use your gifts to GLORIFY Him. Use the gifts of your time, talent, and treasures to bring glory to God who is your Creator and gives all good gifts. Connect God’s Word to your life. The more you reflect on God’s word, the more you will see daily, meaningful connections to real-life situations. Then the more you can journal about those…it becomes a win-win situation. Pray the Scriptures. Pray as you journal. Pray God’s word back to him, and you will discover you memorize large portions of scripture that you can pull out and use at other important times when you need it most. Consider using the S.O.A.P. method. This is an old method but a goodie. S – Scripture. Read a passage of the Bible. O – Observe. What about this passage was especially meaningful to you? A- Application. How does this apply to your life today? P – Pray. Pray for guidance and direction as you apply this truth to your life. Which Journaling Bible Should I Use? Here are some great options for journaling Bibles. A journaling Bible gives you space inside the Bible to add your own notes, drawings, artwork, and other designs. Here is the ESV journaling Bible . You can see the extra space in the margins. 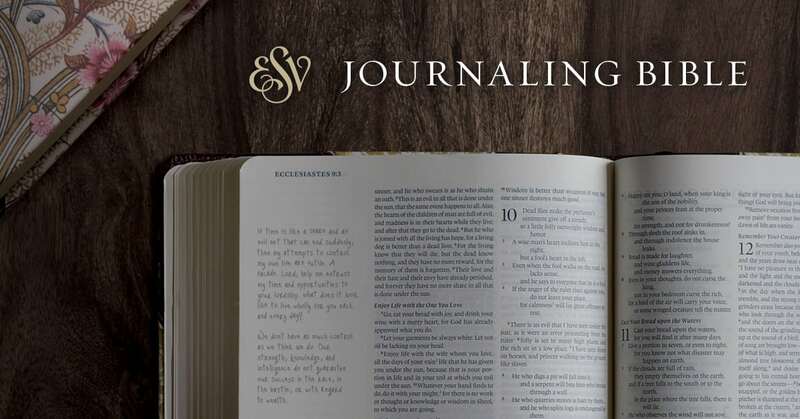 A basic journaling Bible such as the ESV journaling Bible or NIV Journaling Bible is blank with wide margins. The main difference in Bibles is covers and width of margins. While you certainly don’t need a journaling Bible (see below for more ideas if you don’t have one), many people find it gives them room for creativity and space to take notes. Also see this post: 25 Bibles for women. These journaling Bibles are different in that they have pages with pre-done pictures that you can color. There is also some room for your own drawings and notes, but not as much as a plain Journaling Bible. These are great beginner journaling Bibles for getting started, for teens, and if you aren’t super-creative. 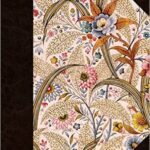 Do I Need a Journaling Bible? You can use a wide-margin Bible, a note-taker’s Bible, or a traditional Bible. Use a blank or lined journal or sketch book . Use whatever you are comfortable with! In Bibles with small or non-existent margins, journal responses on paper or vellum can be attached with washi tape . 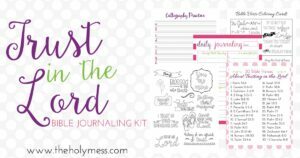 You can also buy a Bible Journaling kit that has all the Bible journaling printables you need to get started. Illustrated Faith has recently released their new Illustrating Bible and this spiral bound, square Bible with thicker pages and wider margins is truly unlike any other journaling Bible on the market. Read our full review of the Illustrating Bible here. What Do I Put in the Margins? A word about THE LINE ~ It marks the spot and brings you back. It’s the familiar when you get lost and the life-line when you fall in again. It’s not “where [or] what was that verse?” but rather knowing you can find it and lean on it again until finally, it becomes a part of you! What are the Best Beginner Supplies for Bible Journaling? We have a beautiful new Bible Journaling Kit made especially for beginners and people who aren’t especially creative. Click here to check out the Trust in the Lord Bible Journaling Kit. Grab the Illustrated Faith Starter Kit for only $35! Tip! Don’t sharpen your pencils to a tip that’s too sharp or it could tear your Bible pages. Bible journaling kits are great because you get a group of supplies that are of one theme. Plus it’s a little bit like Christmas morning when you get them. When you are getting started, a kit can be a great way to not feel quite so overwhelmed. Is Bible Journaling a sin? As Bible journaling has become more popular, some controversy has risen up about the practice. There are people who believe that writing in a Bible is sinful, or that the creative artwork takes away from Bible study time. While each of us is ultimately accountable to God for our own actions, I have spend the last several years interecting with the Bible journaling community. I have been blown away by the depth of faith I have seen among these women. I have been honored and humbled when I’ve seen how women are pouring over God’s word and studying scriptures. Does the artwork pull people away from studying God’s word? Yes, at times. Is it a distraction? Sure. Lots of things are distractions in this world. But overall I have seen so much more that is a tremendous blessing in this art form and creative expression. Bible journaling is not sinful. As far as using the Bible as a medium for artwork, I have never seen anyone who is doing so as a way of detracting from God’s word. Bible journaling is done as an act of prayer and worship. If you are looking for even more great Bible journaling ideas, check out this list of some amazing resources from other bloggers. You’ll learn and find great tips for how to make this experience uniquely yours. I’m indebted to my mom, Jeanette Rorabaugh, and Bev Wicher, pastor’s wife from the Eastern Lutheran Church Missouri-Synod District for sharing their Bible journaling tools, resources, and wisdom for these posts. Thank you to Emily Abraham for the photo on today’s cover. 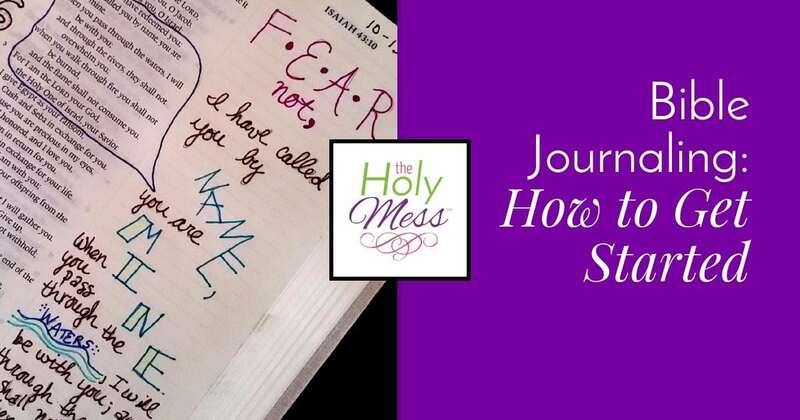 Have you started Bible journaling or do you want to start? What supplies and resources do you use? Yes, it’s a wonderful way to express yourself and dig deeper into God’s word. Let us know if you try it, Nicky! Great info for those who want to get started. Thanks for the Facebook Grou shoutout ….. Creative Coloring, Journaling, and Planning! If you are in my group, feel free to share these links as a resource. Thanks for this post, Sara. I actually have a journaling Bible but have not put anything in it yet. I’m not sure why, except that I’m sometimes afraid I will mess it up. But, like you said, journaling doesn’t have to be that creative, it just needs to be my reflections on what I read. 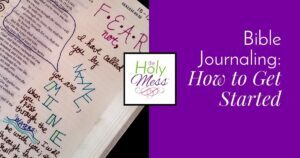 I’ll be following your posts to maybe get more ideas about how to do the Bible journaling. 🙂 Blessings to you! Gayl, I am in the same place as you! I think I did this series somewhat selfishly because I want to learn about Bible journaling myself. Bev and my mom were a huge help to me in learning how to go about it. I got a journaling Bible last year (currently in storage while we are in the middle of a move) and I haven’t started either, also I think not wanting to “mess it up”. I need to get past this feeling! Definitely! I enjoyed visiting your website and seeing your many awesome resources and photos. I’m looking forward to following and learning more. Sara ~ Thank you for writing this blog (and for including the Great Lakes VF fb page!) Bev Wisher & Connie Denninger are dear friends of mine, and we share this passion of Bible journaling with you. Your sharing here will be encouraging to so many and inspire them to seek God through time in His Word. Blessings to you….who knows? Maybe we’ll meet someday at a Bible journaling event! I hope so! Thank you, Pat! 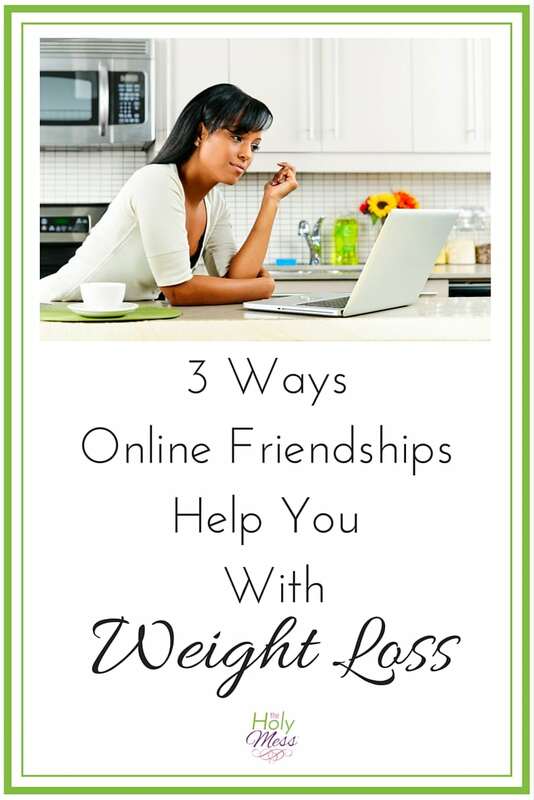 I look forward to getting to know each other online and hopefully someday in person. Thanks for your willingness to share your knowledge and creative resources.